HomeYemen- Scores of Gulf Coalition Troops Killed in Houthi Missile Strike. Yemen- Scores of Gulf Coalition Troops Killed in Houthi Missile Strike. Devastating blow to aggressors in criminal war. The entire conflict in Yemen is an obscenity. Malnourished children are being blown apart by million dollar bombs dropped from ten million dollar aircraft. The attack on Yemen is now in it’s sixth month. The aerial attacks on Yemen achieved nothing for months but the Saudi/Gulf coalition has been achieving major territorial gains since the armed forces of the United Arab Emirates and Bahrain were inserted into Yemen in the past several months. The Houthi/ pro Saleh coalition lost Aden and suffered severe setbacks in Taiz. The territorial gains the Houthi led coalition made in the early stages of the war in the south have largely been lost. Meanwhile the Houthi heartland in the north of Yemen has been reduced to a wasteland by the Saudi led bombardment. In response the Ansarullah group embarked on a series of armed raids on southern Saudi Arabia. These attacks have been going on for months and generally involved the fairly pointless destruction of isolated Saudi border posts. Each attack would generally kill the one or two Saudi soldiers stationed at these tiny outposts that dot the mountainous border area like mini lighthouses of the desert. 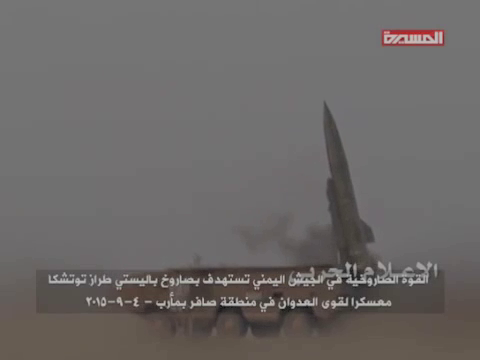 Recently the Ansarullah/Houthi group have managed to make some deeper incursions into Saudi Arabia and the Sauid forces in the border region took severe losses in an apparent ambush of Saudi forces in the Jizan region of Saudi Arabia yesterday. 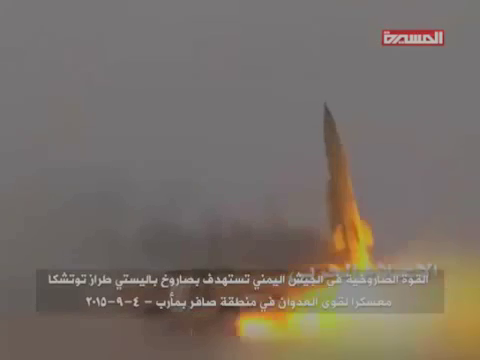 In the central Marib province the Gulf Coalition suffered a devastating setback yesterday when at least fifity of their soldiers, 45 from the United Arab Emirates and a further five from Bahrain died in an explosion that was apparently caused by an OTR-21 Tochka tactical ballistic missile striking an ammunition dump. 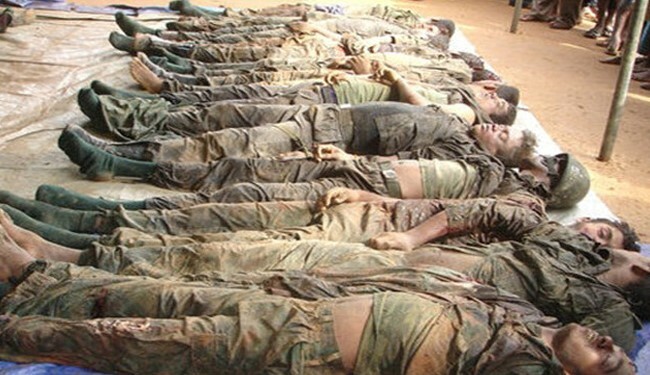 al Alam image of Gulf Coalition casualties. A War of Utter Futility. There is no prospect of victory for either side in Yemen so the best thing for all concerned would be to engineer a realistic political solution to Yemen’s internal divisions and end the conflict. The Gulf Council operations against Yemen are a criminal terrorist operation that deserves to be punished in an international court. The actions of the Houthis in attacking Southern areas of the country in response to the recalcitrance of President Hadi also seems to have been an extremely foolish and unnecessary act in retrospect. Yemen was close to a failed state prior to the bombardment it has now suffered. The crimes that Israel committed in Gaza last year have all been repeated in Yemen against an equally vulnerable and defenseless population. It is stunning to realise that it will take years to rebuild Yemen back to the position of being a semi failed state. No, not Gaza, Yemen. 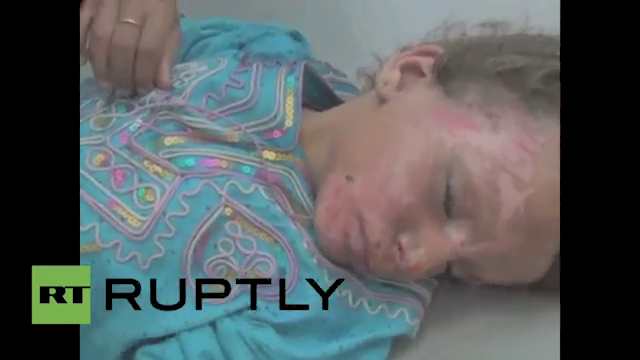 Imagine the response if Iranian jets were inflicting these wounds upon Saudi children. 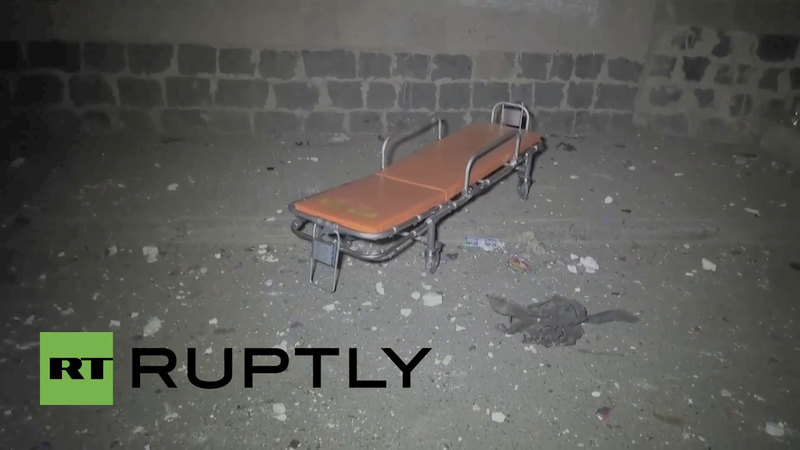 An empty gurney amongst the detritus of another ISIl car bomb attack on a Yemen Shia mosque this week. Sums up the state of the nation of Yemen. ← Iran Deal-the Monsters Lost. I wonder something about a photo here. I have thought about this many times in looking at pictures taken by Palestinians and Jews, and others, purporting to be dead people. Could these be mostly fakes? On the soldiers in this blog. I see almost no blood. Uniforms look intact. Boots are off some. but honestly, how would we know the difference? I have seen videos in the past of TV programs for kids, of all things, teaching hate for the enemy on both sides of the Israeli/Palestinian conflict. The remarks were inflammatory and extreme. Such reactions reveal people who could easily lie of fake things and we know many fake forged events since 911. I just tend to be real skeptical now of anything on video or photograph. As for war, its never pretty. Its always horrific. Society has sure broken down into madness. Thanks for that truth1now. The photo of the soldiers is from al Alam, the photo was not captioned and the dead soldiers could be from the Iran-Iraq war for all I know, or a fake as you suggest. As far as the core incident is concerned, it does appear to have happened and the footage from Ruptly appears to depict the aftermath. The photograph of the Yemeni child is a still from a hospital video from the early stages of the war, I am not sure whether the child is supposed to be dead but as far as I can remember the child was only wounded. A pretty good rule of thumb in my experience, although there are many exceptions, is that violence from the Middle East tends to be authentic as opposed to much of the faux violence we see in the West. Your skepticism is well placed and thanks for the comment.